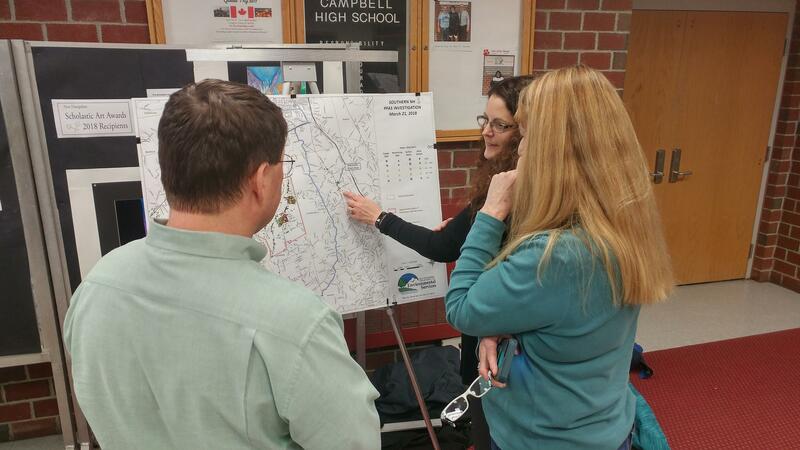 N.H. officials and residents examine maps showing where Saint Gobain will now be required to provide new water connections and monitor contamination around Merrimack. 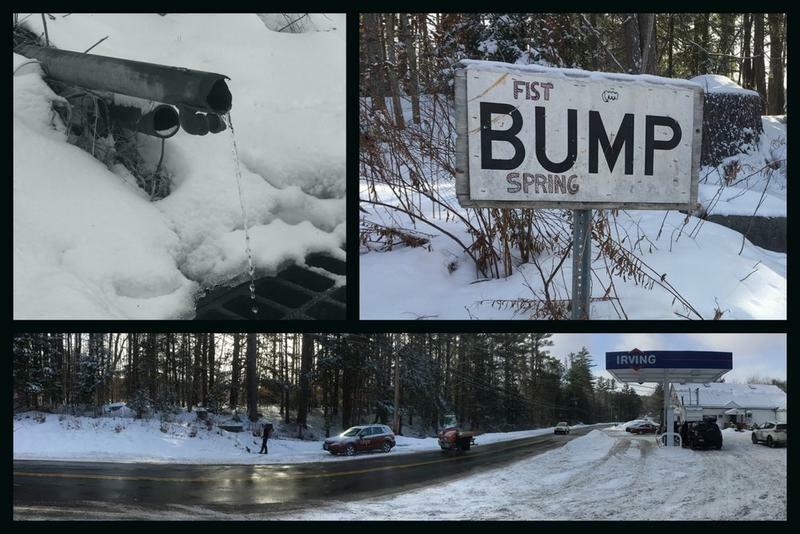 The state’s deal with the Saint Gobain plastics company to fix water pollution in southern New Hampshire is unprecedented in size – but officials say it doesn’t cover everything. The deal was announced this week, and environmental regulators answered residents’ questions about it at a public meeting in Litchfield Thursday night. The legally binding consent decree requires Saint Gobain to run public water lines to about 300 properties in Bedford, Merrimack and Litchfield that have contaminated wells. That’s on top of the more than 450 they’ve already fixed since they first told the state in 2016 that they’d released a large amount of possible carcinogens known as PFCs. The state’s assistant environmental services commissioner, Clark Freise, estimates Saint Gobain has spent at least $30 million on the problem so far. The new agreement doesn’t have a cost attached to it, and Saint Gobain hasn’t released any cost estimates. The agreement does not require the company to pay water bills for residents newly connected to public water systems, and or to fix contaminated, offline public utility wells. But Freise says the decree leaves the door open for residents to pursue more legal action if they want. He says the work Saint Gobain must now do will stretch into 2019. He says other environmental monitoring and remediation at the factory could last for decades. The factory is still leaching PFCs into surrounding groundwater, Freise says, so Saint Gobain will have to propose a plan to manage that pollution as it breaks down. For nearby residents like Kim Carole, all these developments mean more waiting and worrying. Her house in Bedford is one Saint Gobain must now connect to public water. Carole says her family hasn’t drunk or gardened with their well water for more than two years, and her young kids take short showers, not baths. She says she doesn’t necessarily trust that her new public water supply will be safe, or by what standard. 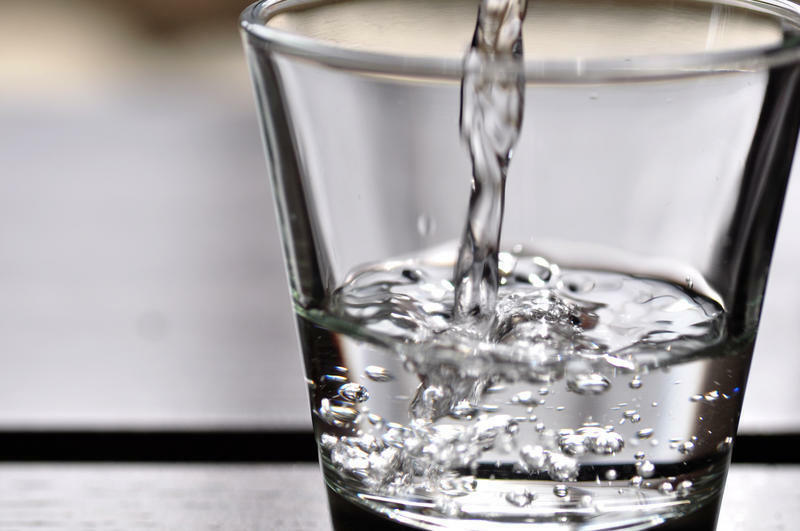 Different states impose different acceptable limits for PFCs in drinking water, and some lawmakers and activists have lobbied to lower New Hampshire’s level. The consent decree sets out what properties and broad area Saint Gobain is responsible for monitoring and remediating. If the state does lower its PFC limit in the coming years, the agreement says company won’t have to go back and provide new water service for previously unaffected homes. Stay In The Know: Click here to sign up for NHPR's email newsletter.